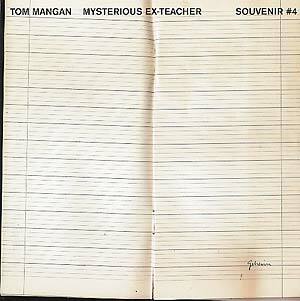 "The fourth release from Tiefschwarz's Souvenir imprint comes from Tom Mangan with Mysterious Ex-Teacher/Texas. As one half of Cass and Mangan, Tom Mangan has released on Fine Records, Tsuba, SAW, Wall of Sound, Loaded, Front Room and Playtime and has remixed the likes of the Scissor Sisters, Infadels, Royksopp, Daisy Daisy and Tiefschwarz. By himself, he has released on Playtime, Jesse Rose's Made to Play, Bedrock and now Souvenir. 'Mysterious Ex-Teacher' is eight minutes of dreamy synths floating on heavy stabs of dubby-electronic bass. 'Texas' is a smooth ride that fuses a disconnected spacey top-end with a simple forward-pushing b-line."